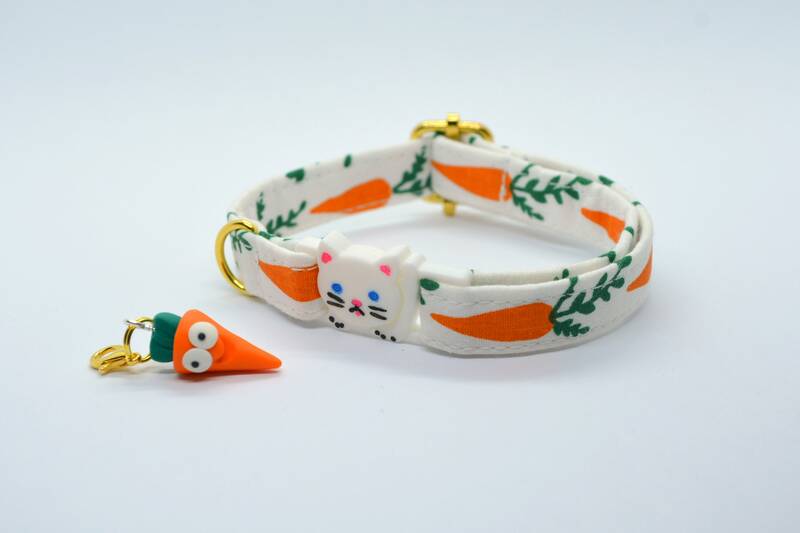 This adorable cotton cat collar is decorated with delightful orange carrots. 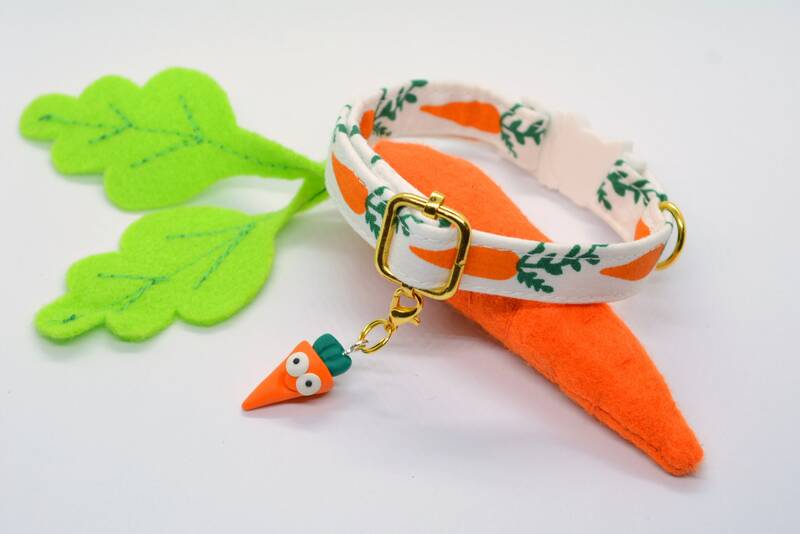 As if that weren't enough, we have handmade this adorable carrot charm which is the perfect co-ordinating touch to this exquisite cat collar. We guarantee that you will have the most fabulously fashionable feline in town! 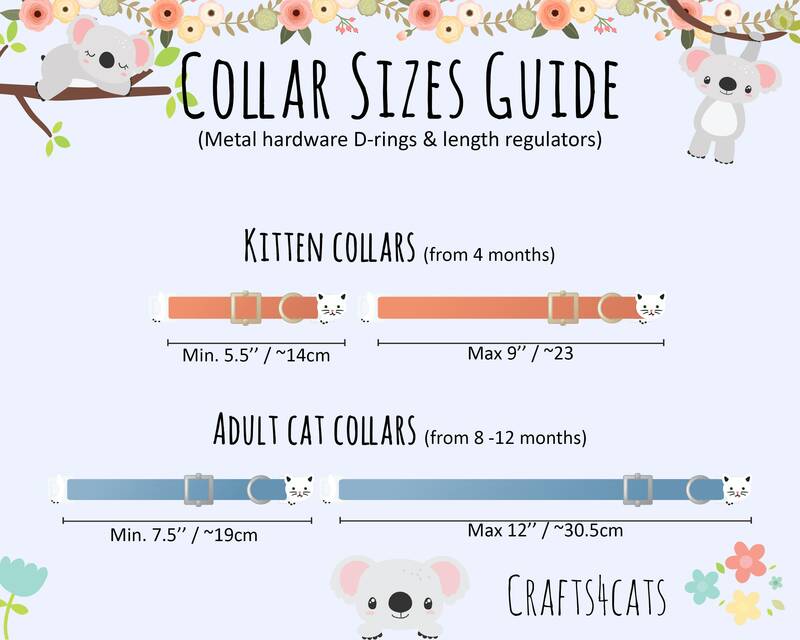 Cats are not always the biggest collar fans, so our cat collars are made from strong, yet lightweight and soft cotton fabric, meaning that they will be comfy around the neck and not restrictive at all. Perfect for these hot summer days! Cats are adventurous little creatures and can get themselves into all sorts of trouble whilst out climbing, so they need a quick release in case of any kind of entanglement. We have used a sweet cat face safety breakaway buckle so that if trouble strikes, they can get themselves free in an instant. 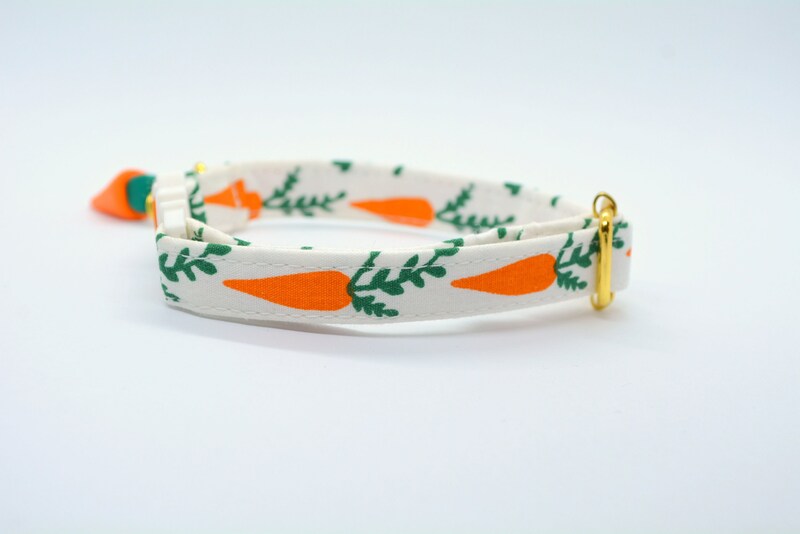 ✔ A sweet carrot charm (handmade and specially adapted to fit our collars). As this is a handmade collar, pattern placement will vary from collar to collar, making each piece as individual as your own sweet cat! ✔You would prefer a non-breakaway buckle. ✔ You would like a bell. Amazing! Came with a cat nip carrot that my cats destroyed! SUPER cute collar!! It really looks good on my all black cat. 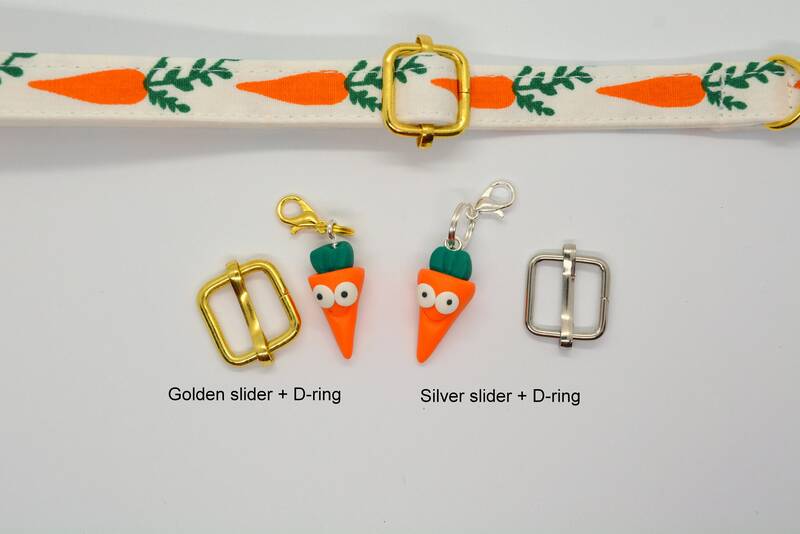 She did want to play with the dangly carrot at first, but who wouldn’t want to enjoy such a cute charm though! Baby Daryl loves her new collar!